So far 2018 is looking pretty wet for North Texas. It has been blessed with overwhelming amounts of rainfall, which has not only helped to fill our area lakes, but it has also lifted the drought status that has affected this region for nearly 5 years. However, with all the rainfall some events we may not be prepared for. One of which is the excess rainwater finding its way into our pools. 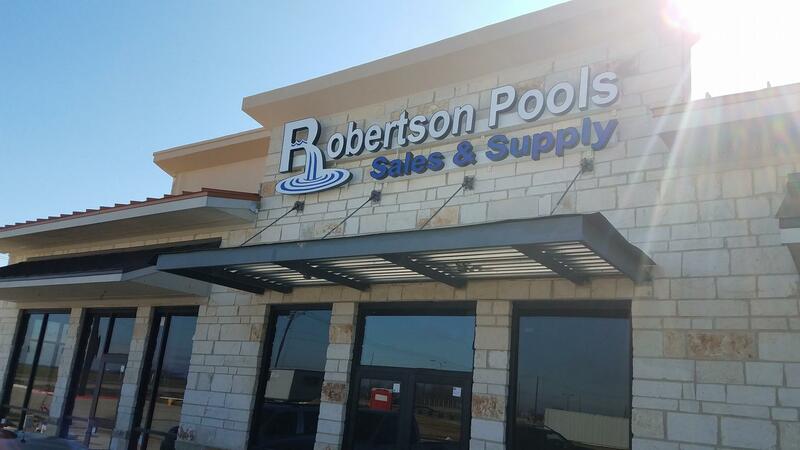 Don’t fret – Robertson pools can help! Carefully remove as much solid debris from the pool as you can and get the water tested as soon as possible. Examine pool edges and the ground around the pool for damage. 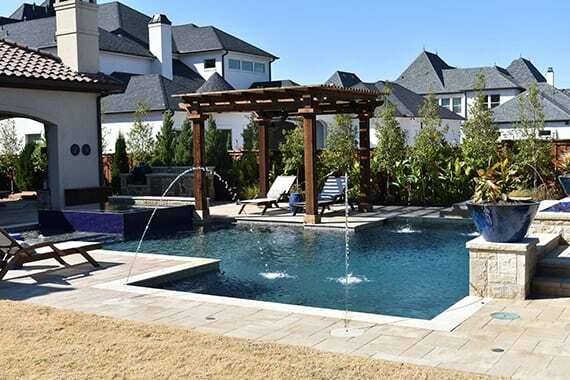 Call Robertson Pools to correct any structural problems. Ensure the pump motor is adequately dry before resuming operation. Drain down any excess water from the pool. Don’t use the backwash feature for more than 5 minutes, it can damage the filter. 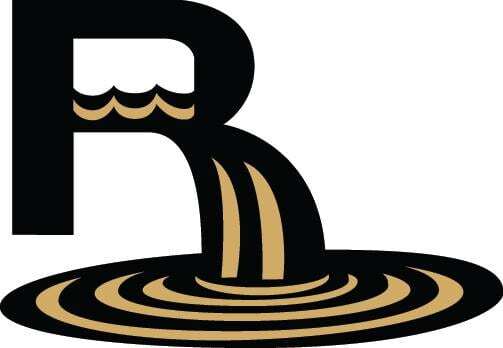 We offer a sump pump for rental if you need to drain more water. If you can vacuum to waste, use a flocking agent such as BioGuard’s PowerFloc® and vacuum the waste out. Flocculants are chemical compounds that when added to water cause suspended agents to sink. Once settled on the bottom of the pool, the previously suspended particles can be vacuumed. DO NOT TRY THIS IF YOU HAVE A D.E. OR CARTRIDGE FILTER THAT CAN NOT BE SET TO “VACUUM TO WASTE”. Be sure to closely follow the directions on the bottle and water test sheet. Circulate the pool for 24 hours, and then test the pH, total alkalinity and calcium hardness. For chlorinated pools, apply a double dosage of a chlorinating shock product such as BioGuard’s Burn Out3® or Smart Shock. Circulate pool again for 24 hours. Monitor the chlorine level for the next 24 hours to ensure you can maintain a 1 – 3ppm level. Add chlorinating shock as needed to maintain levels. Add products as needed to maintain proper levels. Clean the filter using a chemical cleaner such as Kleen It® or Strip Kwik®. After water is balanced and sanitizer levels are stable, you can resume the use of the pool. What really happens to my pool when severe weather conditions occur? 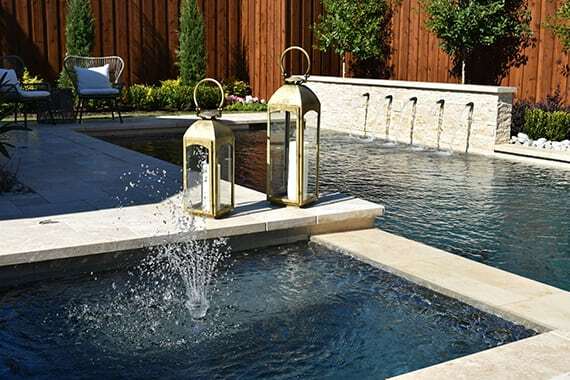 For starters, it is important to understand that a pool is a closed water system, which over time becomes more and more saturated and contaminated with elements from nature, chemistry, and bathers. Therefore the longer the water has been in the pool, the worse condition it is in, and the harder it is to balance and make safe. In substantial rain or severe weather, a pool can reach that same level of contamination in just a few hours, rather than many years. This is particularly true if the rain causes a mudslide, or washes a significant amount of debris into the pool. This can be an ideal breeding ground for bacteria that could be harmful or dangerous. The extra material being washed into the pool can cause filters to clog up and pumps to slow down and work harder. Or worse, they may cause systems to shut off completely because of excessive strain, or power outage. How do you get it back in control? If you have a well-balanced and maintained pool you simply need to increase the run times on your pool pump, check and balance the chemicals more frequently (more than once per week) and take steps to remove the contaminants. Under most circumstances, this is enough to keep your pool safe and problem-free. Even if the pool does develop a slight algae problem, it can usually be addressed and rebalanced in as little as 1 to 3 days. This is why we at Robertson Pools stress to customers that you want your pool ready for the weather rather than reacting to the weather. PROPER TURNOVER RATE: Your pool should be operating with sufficient runtime to achieve the recommended 3 turnovers per day. Come and see us if you need help calculating the runtime. BALANCING CHEMICALS: Not checking and balancing the chemicals weekly will cause long-term problems that escalate when the weather turns severe. FILTER MAINTENANCE: If your filter is not maintained on a regular schedule it will cause greater issues in severe weather. All-in-all it takes about 20 minutes per week; make sure you properly addressing circulation, filtration, testing, and balancing of chemicals. This gives you the best shot at saving your pool, saving yourself time, and saving money getting it back on track. In Emergencies – sometimes you just don’t know what to do. Turn off the equipment to prevent motor or filter problems. Be sure to protect yourself and your loved ones – DO NOT GO SWIMMING IN A POOL THAT HAS NOT BEEN TREATED AND PROPERLY SANITIZED AFTER A BIG STORM. This is ESPECIALLY true if you cannot see the bottom! 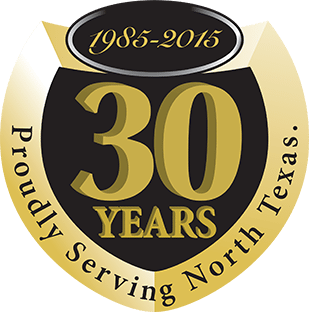 For more information, call Robertson Pools at 972-393-2884.